Those who frequent Hard Rock Casinos will have become accustomed to the larger-than-life guitars that have become a trademark feature. However, none will be quite used to the scale of the Florida Seminole tribe's latest endeavor, part of a $1.8 billion project on U.S. 441, north of Stirling Road, in Hollywood, Florida. Rising 34 stories high, 800 rooms will be encased in the form of a cut-away guitar's body. While some may argue that this duck is a potentially cliché aesthetic, tribe leaders were eager to emphasize their desire to make an architectural statement. Seminole Gaming CEO Jim Allen spoke of tribes aims to create an icon. "We could have easily just built some rectangular building...but the tribe is once again trying to create something that is iconic, that creates international tourism coming to Florida," he said to the Sun Sentinel. "We truly believe that design alone will create additional tourism." The expansion to the pre-existing complex will see room capacity boosted to 1,273 with the introduction of a nightclub and five new restaurants. $100 million will also be spent on a swimming pool (the second in the vicinity). As part of a deal between the Seminoles and the local governor, the development is set to see bring a influx of employment to the area as well. The tribe estimates that 19,452 jobs, including 4,867 full-time positions and 14,585 construction jobs, will be created due to the development. https://twitter.com/Chabelih/status/694191104854458370 Seminole plans are pointed skywards as they claim to rival Las Vegas and other major global gambling destinations. "We truly think this will rival not only anything in Florida, but Atlantis and anything in the world," said Allen. 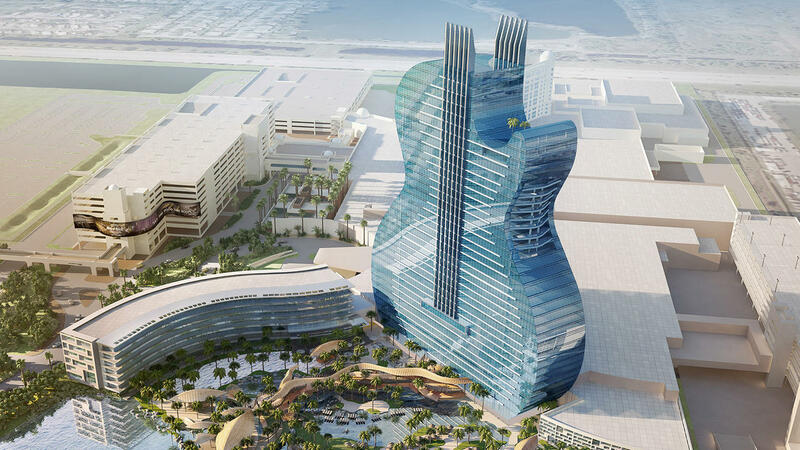 According to the Miami Herald, Allen also mentioned plans regarding another Seminole Hard Rock Casino, this time in Tampa. The scheme is touted to introduce new poker rooms, stores and restaurants.